Questions about Kichler Lighting 2090CZ? The Wilton Collection sets a new standard for quality and attention to detail. 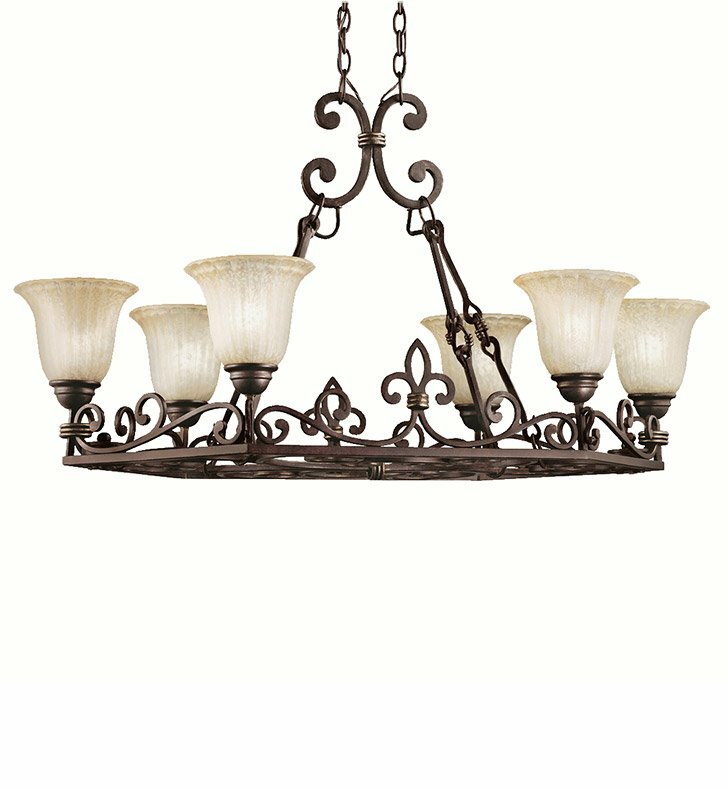 Intricate scrollwork and rich Carre Bronze finish accents the Antique Barley, tulip-shaped glasswork. This unusually shaped chandelier makes an unforgettable impression.. 6-light, 100-W. Max. (M) Length 39", Width 22-1/2", Body Height 22-1/2", Overall 96-1/2", Extra lead wire 37". 6' of chain. For additional chain order No. 4901 CZ. Dimensions: H 22 1/2" x W 22 1/2"